The Camden may be designed for a narrow block, but it packs a lot of living behind its slim façade! 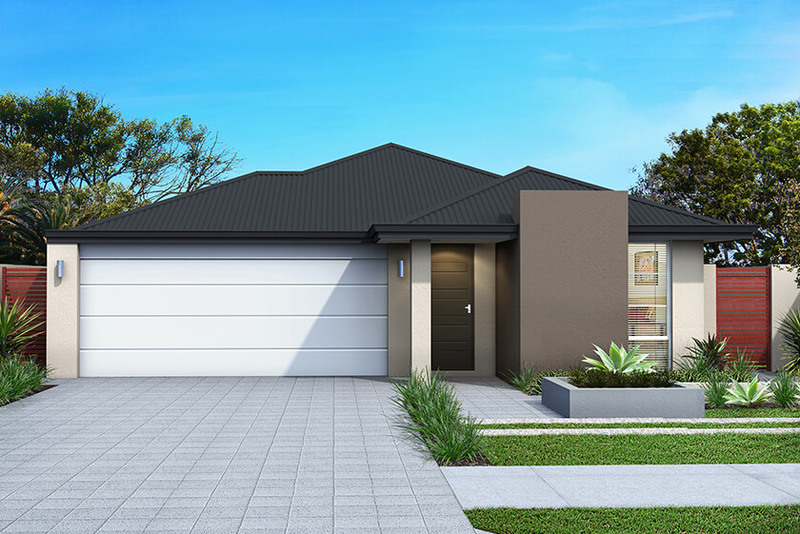 Suitable for 10m front-loaded blocks, the almost 200sqm of home offers a clever three-bedroom, two bathroom floorplan that includes a separate theatre, an alfresco, double garage and plenty of stylish living. Everything you could want is here. For children or guests, there are two bedrooms with built-in robes separated at the front of the home, alongside the main bathroom with the powder room separate for greater convenience. You’ll enjoy the theatre or lounge for quieter moments, while The Camden’s social hub is the big kitchen with its island bench that faces the open-plan dining and living area, which flows seamlessly to the alfresco. 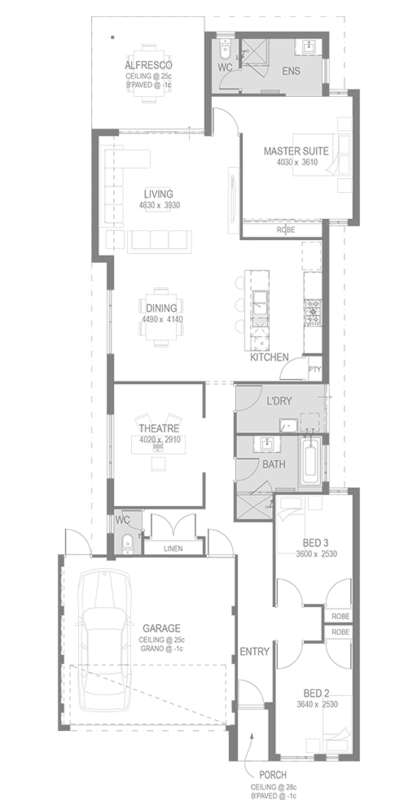 The master suite is tucked away at the rear, for the ultimate in privacy.